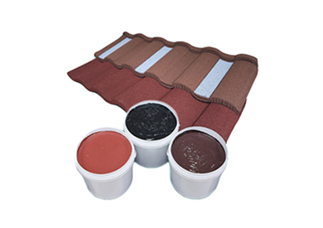 Waterbased Acrylic Adhesive for Stone Coated Metal Roof Tile is a new kind of emulsion adhesive specially designed for building materials for roof tiles. It is widely used because of its color variety and high-bonding performance. Its main material acrylic is non-toxic and environmental-friendly, now has replaced many chemicals factors as main material. Waterbased Acrylic Adhesive for Stone Coated Metal Roof Tile is a new kind of emulsion adhesive specially designed for building materials for roofs. It is widely used because of its color variety and high-bonding performance. Its main material acrylic is non-toxic and environmental-friendly, now has replaced many chemicals factors as main material. Excellent adhesion, favorable flexibility, strong viscosity, good water-resistance, weather-resistance performance, fast drying. 1) Package:Plastic drum packing: 65kg/drum , 190kg/drum. 2) Storage: Store the acrylic glue for stone coated metal roof tile in cool and ventilated place at temperature of 5-35℃. Avoid moisture, rain or any other factors which will influence the product performance. 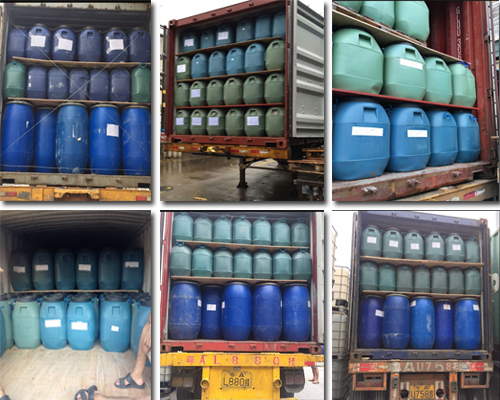 If the product is out of shelf life, please double check if the product has any exceptional phenomenon, for instance, with solid and smell, if no exceptional phenomenon, it still can be used.